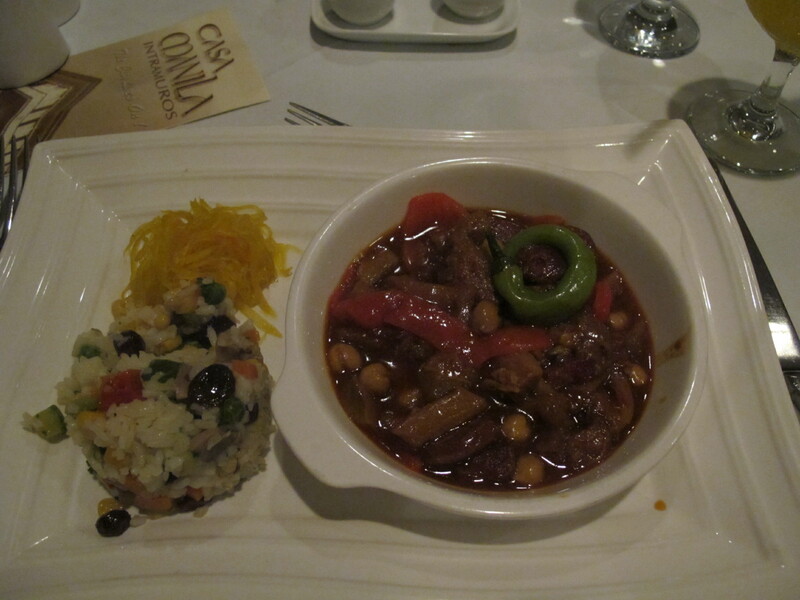 A recent visit to Mardid made me think of my trip to Manila back in June. 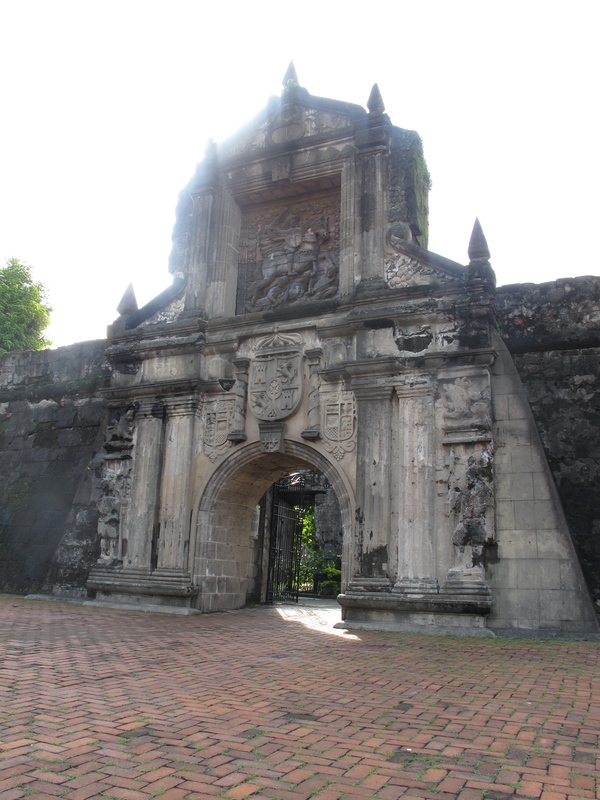 Interestingly, just like Madrid, Manila – known then as Maynila – used to be a Muslim settlement until Spanish general Miguel López de Legazpi paid a visit to local ruler Rajah Sulayman in 1571 and established a colonial city. History of the Philippines from that point on was aptly described by Pulitzer Prize-winning journalist Stanley Karnow as “300 years in a Catholic convent, and 50 years in Hollywood.” He brilliantly spells out the details of Spain’s three centuries long dominion over the archipelago and America’s foray into a colonial adventure there in his book In Our Image: America’s Empire in the Philippines. Even though I had never been to the Philippines before, Manila filled me with a strange sensation of multiple dimensions of déjà vu. 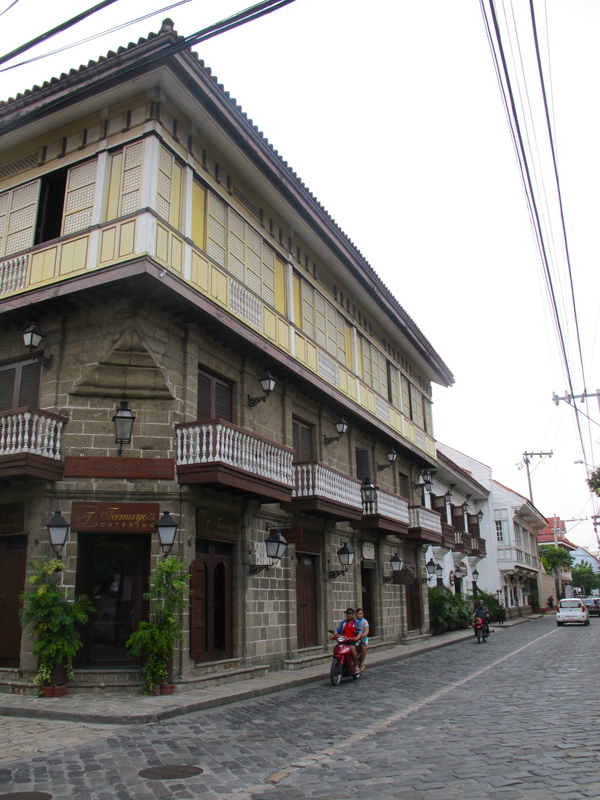 First, there is the Spanish influence over architecture, especially in the historic district of Intramuros. 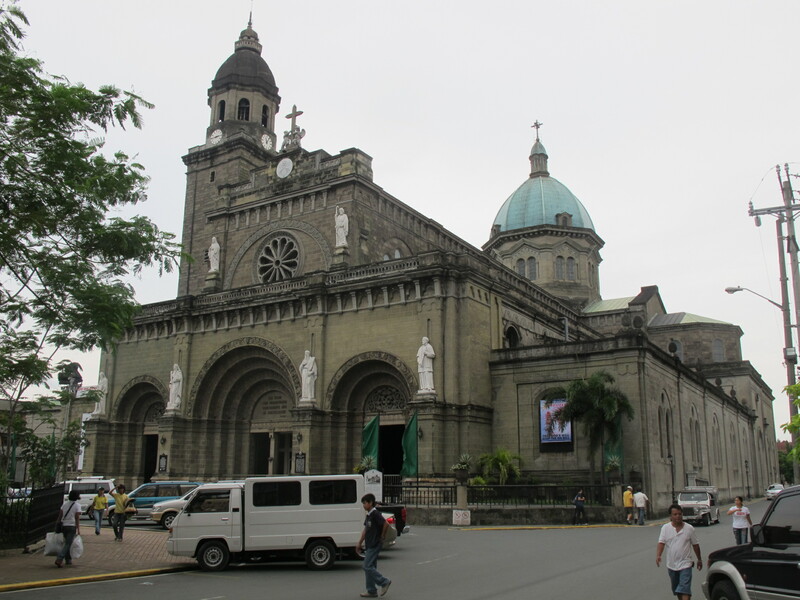 Looking at the Manila Cathedral I had to pinch myself and kept repeating: “I’m not in Mexico, I’m not in Mexico.” Incidentally, during the Spanish colonial period that’s where the Philippines were administered from rather than by Spain proper. The Manila-Acapulco galleon trade route brought Far East riches to the Americas and flourished from 1571 until 1815, ended by the Mexican War of Independence. Intramuros haciendas such as Casa Manila (meticulously reconstructed by Imelda Marcos as a showcase of the 19th century colonial lifestyle) with its beautiful balconies and slim shutters reminded me of Lima and for a good reason. I was intrigued by the similarity of physical construction: lower floors made out of stone and upper out of wood. I was told the connection is earthquakes – lighter and more flexible wooden upper structure is less likely to collapse in an event of one. By the way, a great place to eat around there is atmospheric Ilustrado restaurant where I had great callos a la Madrileña. Second, there is the language and daily surroundings – a bi-lingual déjà vu here. Street names, and names in general, are all Spanish but nobody actually speaks it with an exception of the really old guard. Instead almost everyone speaks English and the pervasiveness of American brands – from Starbucks to 711 is uncanny. Jeepneys are the leading mode of public transportation. And of course MacArthur is a national hero. 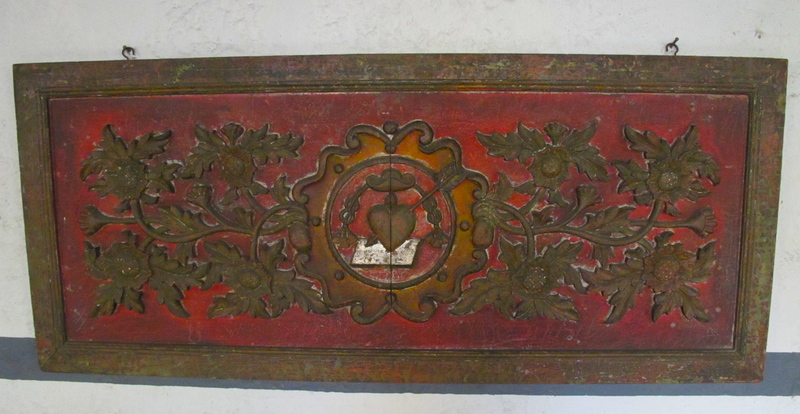 Third, there is the Catholic thing. 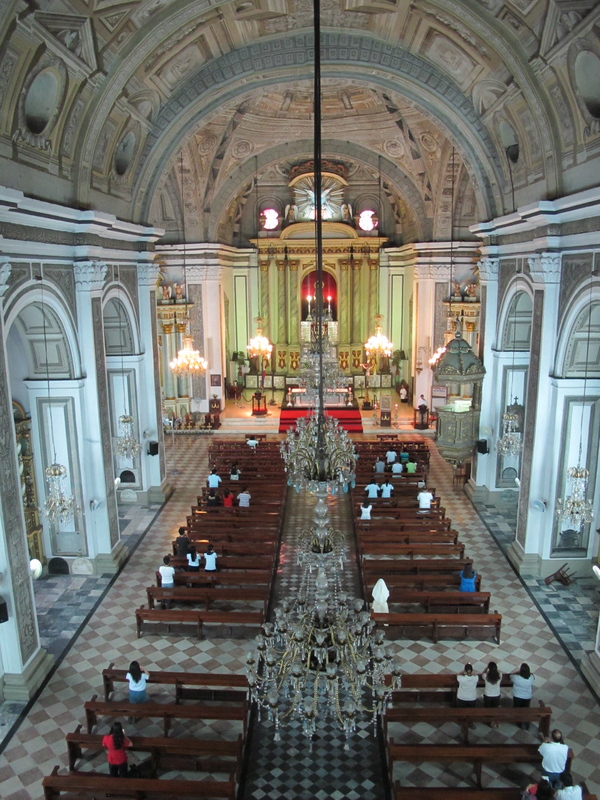 I hadn’t previously given much thought to the Catholic Church as a unifying cultural force in so many places of the globe throughout the ages, but in the Philippines I could clearly feel it given my Polish roots. 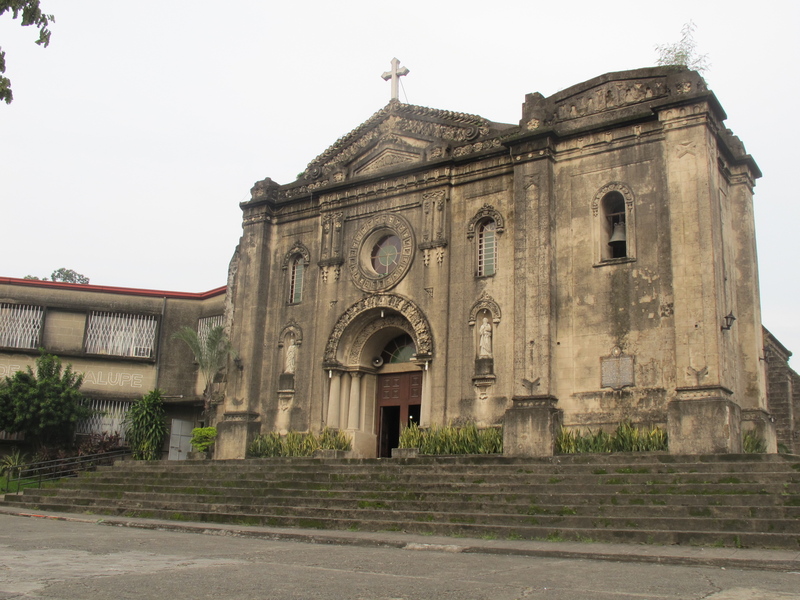 My favorite church in Manila, San Agustín, felt inexplicably familiar and I kept thinking it might as well be in Warsaw. Speaking of Warsaw, there is another, more painful link with Manila. Both cities were virtually wiped out during WWII, with Manila sustaining the heaviest destruction after Warsaw. And they both re-built. 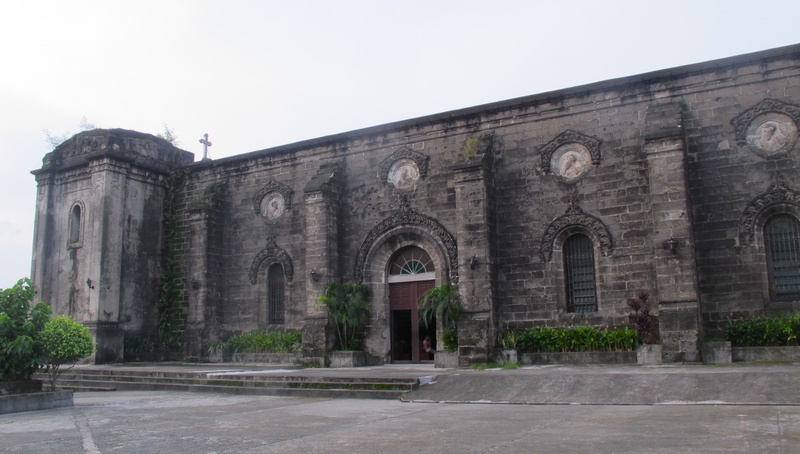 San Augustin feels so special in part because it was one of the few structures in Intramuros that did survive. Completed in 1607, it is the oldest church in the country. 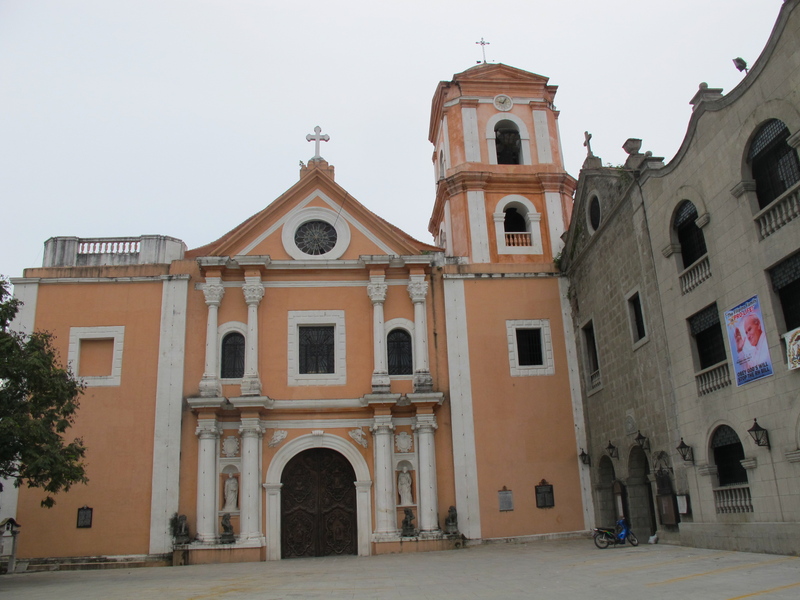 I also have to mention my second favorite church that’s much more off the beaten tourist path, Nuestra Señora de Gracia in Guadelupe Viejo district of Makati City. Most people go to Makati, where I stayed, for business or shopping in gigantic malls (which nota bene is a national obsession and a lifestyle here). But few realize that just a few hundred yards behind the posh Rockwell Mall the scenery drastically changes from a bustling high-end metropolis to a much simpler village-like setting. The 21st and 17th centuries collide. Finished in 1629, the church has since suffered earthquake and fire damage but has been repaired to some degree and is in active use. In fact, couples that can’t afford a wedding in the Cathedral tie the knot here for great photo ops. Seeing its magnificent steps and time-weathered exterior almost feels like discovering an archeological find – except you can still see the high rises in the background. Manila is the city of many such contrasts that I only began to touch upon here. Old and new, Spanish and American, rich and poor. It’s the halo-halo (popular local dessert – halò in Tagalog means “mix”) of traditions and influences. I really enjoyed that mix, warts and all. Wow! Your post gave me chills. What a beautiful writing. You greatly captured the history and nuance of the country in so short a post. I was from the Philippines and currently live in New York. It’s nice to read thoughtful insights about Manila and the country as a whole. I hope you can go back to visit and see more of what the Philippines has to offer. Also, you inspired me to think back about my time in Manila and add more pictures – thank you! Ania, those are beautiful photos! Thanks for adding them. 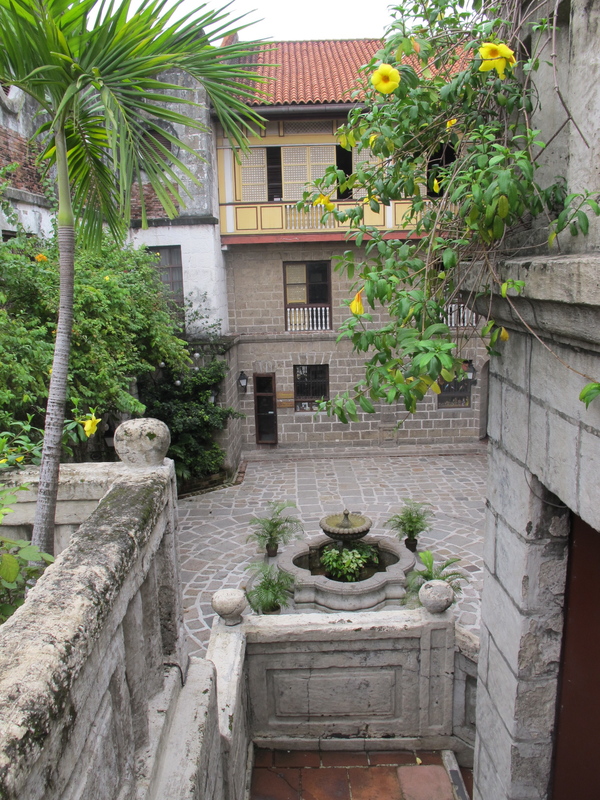 It’s been a long while since I visited Intramuros and the photos make me nostalgic. I should make it a point to go there next time I visit the Philippines. That would be great, I look forward to it!